Captivating, Energetic, Thought Provoking, and Entertaining are just a few ways people have described Vegan Vicki's speaking. She has a message of inspiration, hope, and healing to share about her journey to a holistic lifestyle change and encourages the same and she's eager to share that with your group, conference, or festivals. Rates vary, starting at $100 and up. For more information on how to book Vegan Vicki, click here. A representative will contact you. Enjoy a Fun, Informative and Extremely Tasty Vegan Cooking Demonstration with Vegan Vicki. 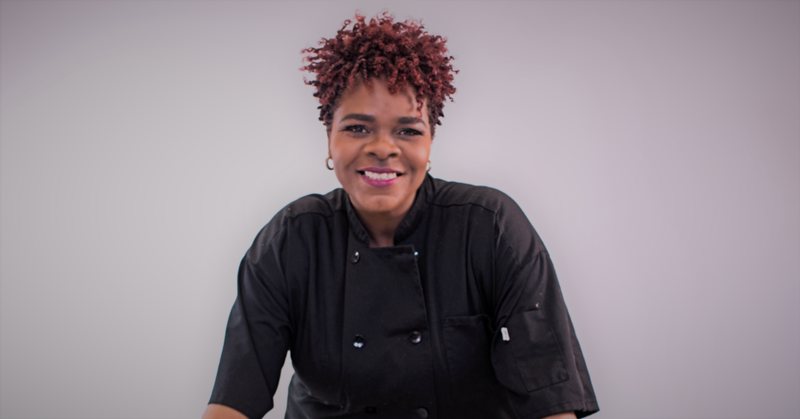 She not only cooks, but she invites you into a journey of storytelling from her days in the kitchen growing up cooking with family. This is sure to be an experience you will not forget or want to miss. Rates Vary depending on the theme you select. Click here to have a representative contact you for details regarding cooking demonstrations. Need a vegan caterer or delicious vegan options for your next event? Urban Sweetness is here for all your catering needs, from small plates to boxed lunches to buffet style dining. Menus below click to view. To contact a representative please click here to submit your information. An Urban Sweetness representative will contact you within 24-48 hours.